A group of researchers from several American universities have begun a projet to develop a small unmanned aerial vehicle capable of flying like a bird. Lead by Professor Russ Tedrake of MIT they will attempt to build a UAV capable of navigating natural and urban environments at high speeds, much like small birds do. In their initial press release the team stated that they plan to develop a UAV with a wingspan of two feet and the capabilities to fly at speeds between five and fifteen meters per second. The device will also be able to navigate complex environments and will land by perching. While the project is not expected to be completed for at least another four years, Tedrake’s group at MIT, the Robot Locomotion Group, has created several devices that achieve aspects of the overall design goals. This picture shows the Perching Glider about to land on a wire. One of the first of these devices is a small fix winged glider called the Perching Glider. As you can probably guess from its name, what makes this glider interesting is its ability to land by perching on a wire. This action of perching requires the glider to perform what is a called a post-stall maneuver. Essentially the glider uses it’s one control surface, the horizontal flap on its tail, to maneuver itself into the proper trajectory after it has already stalled. While this maneuver is something that almost every flying or gliding bird or animal does it is actually an incredibly complicated maneuver. 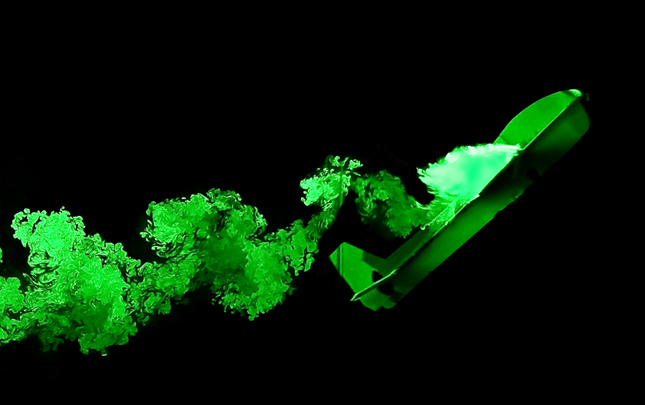 The glider first increases its angle of attack to the point where it creates a stall. It then continues to increase the angle of attack in order to slow down enough to safely perch. The trick is to do this in a controlled manor. Because of the extremely turbulent vortex created behind the wing due to the stall it takes some very complicated calculations to achieve a controlled perch. 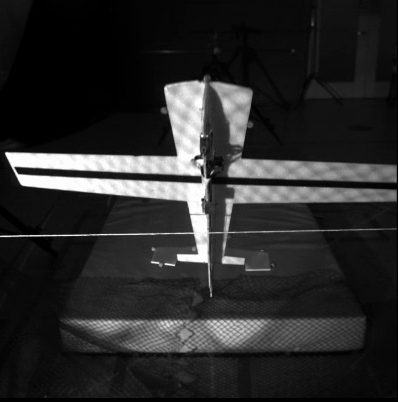 Another device that was created by the Robot Locomotion Group is a small flier capable of flying through horizontal and vertical gaps that are narrower than its wingspan. This video shows it at work. It uses wing movements to perform aerial maneuvers similar to those performed by birds. 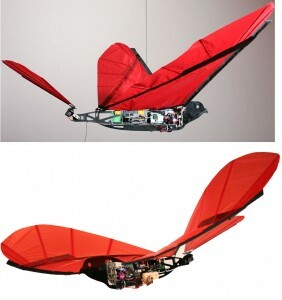 Perhaps the most impressive flying device to come out of the Robot Locomotion Lab is the ornithopter named Phoenix. The Phoenix is not a remote controlled robot. It has an onboard computer that controls its flight. 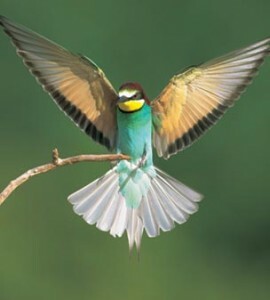 It is a flapping flier and had a wingspan of two meters and weighs only two and a half pounds. This in itself is not overly extraordinary however. The well known Festo SmartBird is also an autonomous robot that achieves flapping flight. The largest difference between the two is that MIT’s robot can land without being caught. The researches at the Robot Locomotion Lab utilized what they learned during the development of the Perching Glider to give the Phoenix the same ability, it can go into a deep stall and then perch on a wire. While they are still a long way from creating a UAV that can actually imitate the flight of birds, these researchers at the Robot Locomotion Lab are making real progress. They have developed the Phoenix, a robot with flight abilities that are unlike those of any man-made flier to date. Eventually they will create UAV that match, and even surpass, the abilities of birds.